Stainless steel fabrication has become a vital part to the services General Fabricators, Inc offers our customers. Thank you all for working with us. We appreciate you working with us! Fit tables are being completed and equipment will be in place and the shop will be open Monday, Nov. 20, 2017. We’re ready for any of your stainless steel pipe fabrication requirements. We’re starting a project for one of our customers, a power plant. 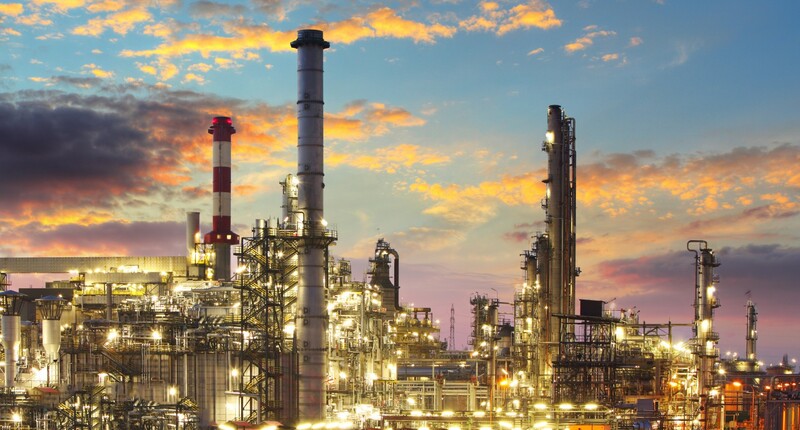 Other projects for an oil refinery, petrochemical plant and have another petrochemical project with materials hitting the yard in the next couple of weeks. Our carbon steel shops are still running, let us know what you need and when you need it. We’ll get right on it. We’ve been submitting a lot of proposals over the last few months. Most looked to be great jobs. Our customers haven’t been as successful as they’d like. We understand that sentiment. This post is to say thank you for working with us and we’re doing everything we can to continue to support you in your efforts to get that next award. Our prices and delivery times have been slowly coming down. We’re polishing our processes and procedures in a way that continues to make us more efficient and competitive every day. We are doing this for a multitude of reasons. And every one of them relates to you and your business. Let me say that again. You are our business! I’ll shout that from the top of a mountain. YOU ARE OUR BUSINESS! We appreciate each and every one of you and are looking forward to working with you all again. We’ve picked up a few projects, one in particular has a long duration. With that said, we’re here for you. Just tell us what you need and when you need it and leave the rest to us. Our original website has performed quite well. However, over the years since we hosted it we’ve grown. Grown in size, changed locations from Delcambre, La. to New Iberia, La. We’ve grown in the size of projects as well as the number of projects we can complete. We’re deciding to grow our internet presence as well as our social media presence. Send me something exciting you, your family or friends have done on facebook. I’ll do my best to make sure it’s posted there. Let me know what you think about our new website. This will be a short, to the point post. This is a warm felt thank you for all those that work with us. We appreciate all that you do. It doesn’t get said often enough. But its felt every moment of every day. You are the BEST! You work together like a well oiled machine. A well oiled pipe manufacturing machine! It’s an honor and privilege working with you all. B2B, what does it mean? Business to Business, everybody knows that, right? But does everybody realize that Businesses are made up of “people” who want to be treated like people? Do we always keep in mind these “people” don’t have to work with us or even take the time to find out what we do or why we do it or how we do it? Do we keep in mind that our business should be to help others do what they do better? Not always “what’s in it for me” kind of attitude. Case in point. I received an email a few weeks back from an engineering firm who wanted to “do my ISO’s and other drawings”. Ok, I read it and deleted it. A few days later I got another email from the same person. I deleted it. A few more days passed and I got another email, this time he said,” I sent you and email and you haven’t responded”. I’m not sure what mood I was in at that moment, but I took the time to see where this guy was from, India. So figuring it’s a cultural thing, I decided to send a response to his email. I explained in as few words as I could that we didn’t need that type of service at this time. And that I would like to offer a suggestion on how he came across in his emails. I suggested I didn’t have to respond to his email and he shouldn’t come across like I did. As well as a few other suggestions about contacting people for his services in our area. We are a different breed of people and expect a certain approach, in the South of Louisiana. I moved on with my day and week. Later I received a phone call from this person. As we talked he was very demanding, didn’t really seem to listen and was very abrasive. I stopped him, suggested he change his manner of conversing with me. I explained that I responded to his email and asked if he read it? Obviously he didn’t. He said yes, that’s why I called you. Needless to say, I ended the conversation quickly. This company hasn’t done itself any benefit by the approach being taken. That made me think about how we come across when we talk with prospective customers, customers and everyday conversations with others around us. I know how I mean to come across, but how am I coming across to the other person. I started paying attention to that in my own life, the whole day. I had to make quite a few “adjustments” to what I was saying and how I was saying them. I’m now taking more time to keep my “adjustments” with me at all times. It’s very important to remember, B2B does mean Business to Business. With that said, we should be compelled to remember that each business is made up of people just like us. Doing what it takes to keep our businesses open and profitable. Doing what we can to help one another offer our own customers more of what they need to increase the value our customers derive from doing business with us. One last example. I emailed someone I thought I remembered meeting quite a few years ago and asked if he would make time to talk with me. I got a response within the day, yes we could talk and he gave me his cell number along with a time that would work for him the next day. Please be mindful, we were in the ending stages of the unprecedented flooding of south Louisiana at that time. I called him the next afternoon just as we agreed. I asked him how his day was going and he told me he’d had better. He’d just been to his cardiologist that morning and didn’t like what he heard from him. And he was working on his house that had been flooded with a foot of water. I tried to excuse myself from bothering him, but he said, he needed the break. We had not met before as I had thought, but he made me feel like we had known each other for a long time. He was honest and genuine. I did my best to do the same. He suggested we make it our business to build our relationship. He’d help me with whatever he could to work with his company, in other words making sure I was given a fair opportunity. This isn’t his first rodeo either. I gave him my word that we’d do everything we could to help him get awarded any project we were offered an opportunity to submit a proposal on. A clean, simple, business to business relationship is starting. One based on people, their needs, wants, and desires that benefit both our companies. I made a new friend that day and am looking forward to working with him and his company, or not. We still came out ahead, we have a new person who understands what it takes to be in business. We can help one another by just talking and sharing ideas and leads, as well as what life has for us. We still both win, whether our two businesses work together or not. All’s well here at General Fabricators, Inc. New Iberia, La. this week. We’ve picked up a couple of more projects. We’re working with a new customer in Houston. We’ve been awarded 2 projects in Texas. They’re going according to plan. We’ve picked up a few more projects this week, all the work is in Texas. A tank terminal and plant expansion. We shipped a couple of projects out last week. I spent some time in the shop this morning taking video’s. Look for them on Facebook, General Fabricators, Inc. They will be uploaded to YouTube as well. Check our page out sometime. I had the opportunity to speak with a couple of the men working in the shop. Great guys! We’re here to serve you process pipe fabrication needs just about everyday of the week. Call or email us to find out how we can work with you. More pipe ready for delivery. It’s what we do all day, every day. Check out our work. In this mornings safety meeting, everyone was advised to stay hydrated, stay safe and let everyone know they were keeping production up and we appreciated it. We’re on the last lap to finish the Kinder Morgan project for Tennessee compressor station. We’re well on our way to finishing the one Enterprise Products project for Mt. Belvieu and getting a really great start on the 2 other Enterprise Products projects for another customer. So 4 jobs with 3 customers are well on their way to completion. We’re aggressively looking for our next project award. We’ve got a few possibilities, but that’s up to our customers to win the overall project. We’ve been busy, but not to busy to take on another job. We’ve made the decision to no longer take large diameter pipe fabrication with heavy wall thickness. It’s just to heavy for the equipment in our shop. We’re concentrating on smaller od’s and up to 24″ od with light wall. Focus is up, moral is up, now we just need our next projects awarded for everything to be up. I just saw this online, thought I’d share it with all of you. New trend in theft in Houston. In this post I’m doing my best to help our customers understand what pipe means to us and what it doesn’t mean to us. First off, please don’t take offense to what I’m pointing out. I mean no disrespect for whatever industry you work in. We should get something straight. In conversations at the ILTA Conference as well as a phone conversation I had with a prospective customer yesterday. For some reason those who work in the, lets say, environmental, air compression, gas compressor station construction seem to think that pipe for that industry is somehow different from, say, the petrochemical industry or the power industry. NOT! Process pipe is just that, process pipe. We weld within the parameters of ASME code or API 1104 or API 1104M. Our welding procedures are submitted to our customers customer for review and approval. Once that’s done, we’re off and running. Whether your project is for a compressor station, tank terminal, petrochemical plant or any other industrial application the same spec’s and codes apply. Each customer you have may want something a little different, but overall, things stay pretty consistent. So, when we say we fabricate process pipe for heavy industrial and EPC contractors, that’s what we mean. I realize some of what I’ve said might offend some of you reading this. That was and is not my intent. My intent is to explain how we look at your project in light of the industry you have chosen to work in. Let’s see if I can explain it another way. Years ago I worked with a company that fabricated large and small ASME code vessels. I worked with them for just about 20 years and attended more meetings than I’d care to mention. With that said, I was always asked if we could build this size vessel. My answer was always the same, Yes. We had built some that I could deliver in the back of my pickup truck and once we built one for a plant that was 13′ of x 210′ tall and weighed somewhere around 250 tons. Now, the reason I’m telling you this is because that company built ASME code vessels, no matter if it was for a refinery or petrochemical plant or for offshore platforms. They’re all ASME Code vessels. I used to call them BRT’s and LRT’s. Continue reading, I’ll tell you what that means down the line. So the same thing is working here. Process pipe is carbon steel, stainless steel, chrome, low temp, all for reasons engineers have determined would handle the product properly. For our purposes it really doesn’t matter if you’re moving raw crude oil, peanut oil, bio diesel, gas, ethanol, refrigerant, natural gas, LNG, NGL’s, acids, or just about anything else you can work with. You give us the specifications to fabricate your process pipe too, we take it from there. Again, all that said, we fabricate process pipe and the structural steel that supports it, even if that’s a modular design or just skid mounted. If we were involved with the process parameters, I could understand why you may ask, have you fabricated pipe that went into power plants before? Or you may ask, have you fabricated pipe that went into a refinery, or plastic’s plant, or, you think of an industry and fill in the blank. We’re here to help your company be as profitable as it can be. We’re a resource to be drawn on like you’d reach into your tool box for your best liked wrench. We’re here to assist your Project Manager make his project as cost effective as it can be. We realize the Project Manager has the fiduciary responsibility of his project. If he makes money, enough of a percentage for his company he gets to keep his job. If he doesn’t make enough profit, his days are numbered. We get that, so we do our best to help every Project Manager keep his project profitable. We can be a project managers best friend. We assist with delivery schedule changes or interruptions. We deal with material that doesn’t arrive on time and help you figure out what’s the best approach from this point forward. We keep his/her priority of delivered pipe to the job site on schedule. We communicate with the installation supervisor to find out how they’re going to install what we’re sending so we can load that pipe on the truck in the order and the way he can most efficiently off load and install it. We tag and bag everything with color codes, and tags that have all the information anyone should need to determine where that piece goes from which drawing. And our list of “value” added services is a long list, longer than needs to be on this blog. Call me to discuss, 337-354-6560, on my cell. Our companies main objective is to assist you in being the most profitable company you can be using our service. This attitude gets us the next job as well as help you get your next award. We can help you build the best relationship with your customer one project at a time. Ok, now I’ll tell you what BRT’s and LRT’s are. Are you ready? Big round things and little round things. What you use the pipe we fabricate for is of no consequence to us. All we have to do is fabricate it according to the specifications you give us from your customers and anything you want in addition to that. We’ll take care of it from there. Please give us a call, 337-685-2585 to discuss how we can be your partner in success. We do our best to offer more value to our customers than most companies in our business offer. Why? Because it’s the right thing to do. And because we are concerned with the success of all our customers. Whatever we can do to assist all of them to grow their business we’re interested. We support heavy industrial construction companies by fabricating the process pipe that goes into their mechanical project for their customers. With that said, we can assist with procurement, project management, shipping and receiving, accounting and just about every other department in their company. Why? Because it’s the right thing to do and it shows we do care about our customers business.